We’re always excited here at VisionAGI to hear about rooflight innovations. We all know how rooflights enhance your living space – flooding the interiors spaces below with natural light even on those grey winter days. 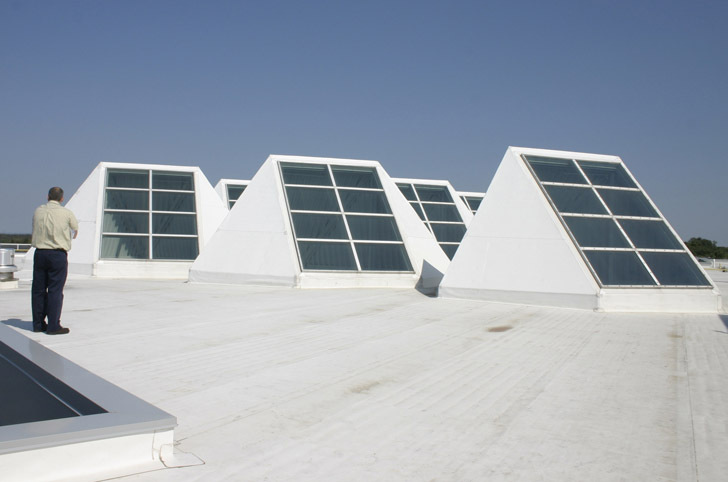 So, you can imagine our interest was truly piqued by these incredible Lightscoop rooflights developed by The Lighting Research Centre at the Rensselaer Polytechnic Institute which could see electric lights in the day become a thing of the past once they are installed. These incredible rooflights are fully adjustable so you can filter out too much light in the summer months, but maximise it during the winter. No matter what the season is, they are designed to bring in the same amount of light that an electric light system would – effectively doing away with the need to turn on a lightbulb. Not only that, they can be opened up to let in more light and heat a room with no energy – harnessing the power of the Sun in any season and cutting energy bills for a cleaner, greener home or workplace environment. All our rooflights at VisionAGI – whether standard or our bespoke options, are manufactured to not only enhance your home and channel the most light into it, but also to be energy efficient. So, with winter now well and truly upon us, think about scooping up the available light and saving on your energy bills by installing one of our beautiful, energy efficient rooflight systems. Of course, we’re also happy to discuss how we can create your unique light-trap solution if our standard range doesn’t quite fit your vision. Whether it’s a ready to install or a bespoke option, we’re always looking for new ways to bring the light inside – and give you a better, and more energised living space simply by bringing in the light.